Every Chef we’ve shown this wine to wants to have it no matter what’s in the bottle. Yet another supremely creative label from the Casa Rojo Wine Gurus stable, has chefs imagining all sorts of amazing porcine food pairings to present alongside Alexander and his bionic leg which has clearly been lost to the Ham Factory and is now probably sitting on the diner’s plate in some tantilising new shape and form. Thankfully what is inside the bottle more than does justice to the awesome label. A rich, carmine-red colour in the glass, it is intense and concentrated. The nose shows notes of liquorice, toasted oak and developed cherry and dark fruit; the palate is powerful, wide and long with a mineral note backing the fruit and spice. 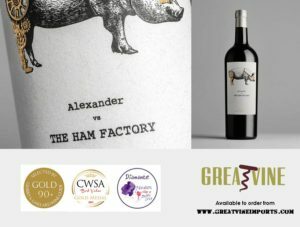 Alexander V’s The Ham Factory is available to order now from GreatVine and is exclusive to GreatVine in Northern Ireland. 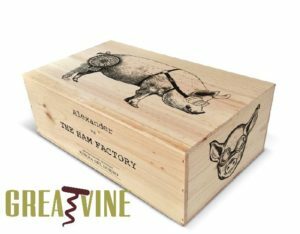 eMail sales@greatvineimports.com for pricing. 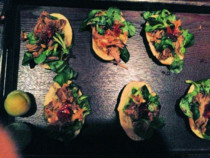 Sign up for all our latest news and offers!